The World of Japanese Picture Books is an educational programme introducing a fascinating Japanese culture, which pianist and composer Motoki Hirai has been promoting globally as Artistic Director since 2007. It provides a true platform for participatory international cultural exchange. 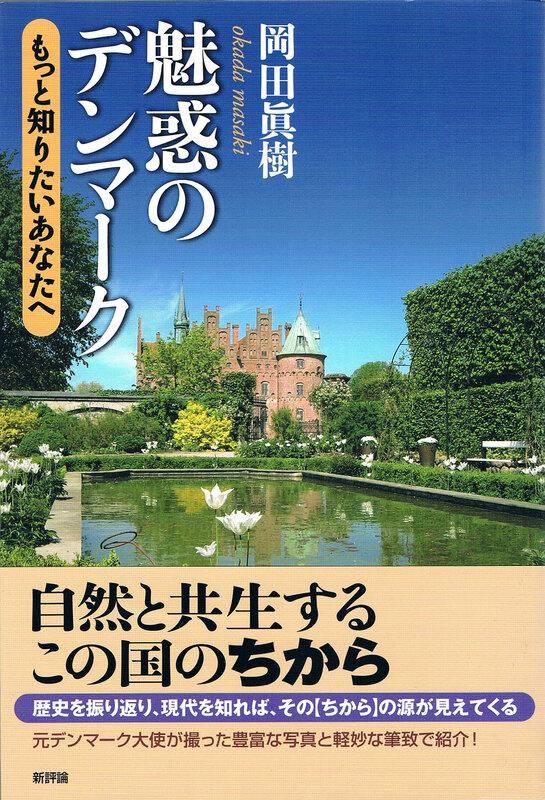 The project began in 2007, when the prevailing Japanese Ambassador to Denmark, Masaki Okada, initiated the Japan Culture Festival to be held in Frederikshavn in August that year, which would introduce the audience to the fantastic world of Japanese picture books through ‘Reading, Music and Images’. He commissioned composer-pianist Motoki Hirai, who happened to be in Copenhagen for piano recitals, to write music based on and inspired by three picture books including one by the famous Kenji Miyazawa, and thus ‘A Suite of Picture Books’ was born. For its world première on 17 August 2007, at which the mayor of Frederikhavn and many foreign diplomats were present, images from the stories were shown while a prominent Danish actress read the three stories in Danish, preceded and followed by the four pieces of music Hirai had newly written, performed live by two violinists. It received great acclaim as ‘a project which has depths in its content in that it is artistically excellent and highly entertaining yet significant in terms of “introducing a culture unique to Japan, encouraging cultural dialogues between nations, and promoting education”’. In 2008, the piece saw its UK première (read in English for the first time) at the Westminster Academy, London, for senior school students (supported by the Japanese Embassy as well as the Japan Society in the UK, and sponsored by All Nippon Airways) and was received with great enthusiasm. Since its successful première in Denmark, the ‘World of Japanese Picture Books’ has been performed in many countries in a variety of languages across the UK, Europe, the USA, Middle East and Africa at venues including theatres, concert halls, festivals, institutes and schools. 1. It is a fresh attempt at bringing both classic and contemporary Japanese picture books and fairy tales, including those which have been loved by many for so long and translated into several languages, to the world through a collaboration between images, reading and live music. 2. It allows the audience outside of Japan to appreciate and relish the unique Japanese culture, made ever more charming by the beautiful pictures which is very different from the manga (anime) or TV games that have become hugely popular. 3. It provides a true platform for participatory international cultural exchange (e.g. in the 2012 performances in Israel, the Jews and Arabs performed together, representing hopes to achieve peace through ‘soft power’). The flexible setup allows for the reading to be done in Japanese or in the local language, whilst the performers can be either or more often a mixture of both. Picture books and folklores from other countries maybe introduced as well, which could act as an interesting cultural comparison. 4. There are profound messages and universal themes embedded in each of the stories which are particularly relevant to the modern society - including environmental issues, human greed or arrogance, the side effect of civilization, peace, life and death, and family ties. The music is placed in such a way to enhance the experience. 5. The stories, the pictures and the music together create fantastic high-quality entertainment which can be enjoyed by adults and children alike. *Each of the Picture Books can be performed on its own or can be combined in any order to fit the venue or meet any time constraints, giving it great flexibility. It can be combined with poetry reading, lecture, roundtables and panel discussions. They can be used as part of a concert programme as well. Reception, Concert or Lecture, etc. Theatres, Art Centres, Concert Halls, Museums, Embassies or Consulate Buildings, Cultural Institutes, Schools, Colleges, Universities, Nurseries, Research Institutes, Hospitals, Care Homes, Conference Rooms, Multi Media Rooms, Festivals, Japan-related Events, etc. Ministry of Foreign Affairs of Japan, etc. Supported by: Embassy of Japan in Denmark, etc. Supported by: Unicorn Theatre, Embassy of Japan in the UK, etc. 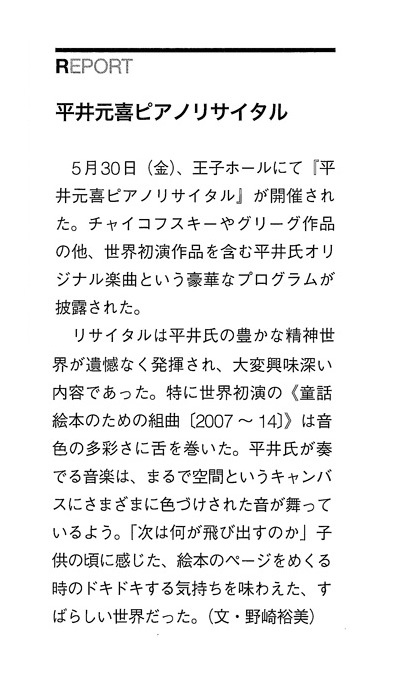 Supported by: VSMU Bratislava, Ministry of Foreign Affairs of Japan, etc. Supported by: Ministry of Foreign Affairs of Japan, etc. Organised by: Japan Society of the UK, etc. Sponsored by: Great Britain Sasakawa Foundation, Kath Kidston, etc. Sponsored by: ANA, Sharp, SAFEWAY, etc. Audience: Secondary and High School Students, their parents, teachers, judges, etc. Sponsored by: Toshiba, Ricoh, Sumisho Computer Systems (Europe), JP-BOOKS, JOBA, Japan Centre, etc.